Was the Russian T-34 Really the Best Tank of WW2? German Field Marshall von Kleist described the Russian T-34 as ‘the best tank of World War Two.’ Panzer leader General Heinz Guderian claimed that the T-34 enjoyed ‘vast superiority’ over contemporary German tanks in the early part of the war. Were they right? Was the Russian T-34 really the best tank of World War Two? Design work on what would become the T-34 began in the late 1930s. Many Russian tank units at that time were equipped with either T-26 light tanks or Bystrokhodny tanks (BTs), relatively small, lightly armored but fast tanks capable of operating on wheels or tracks. 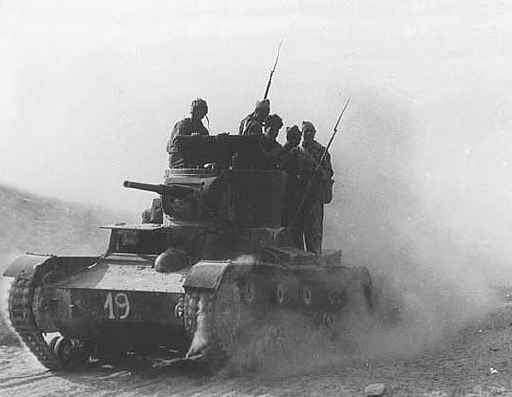 A T-26 operated by Republican forces during the Battle of Brunete in 1937. 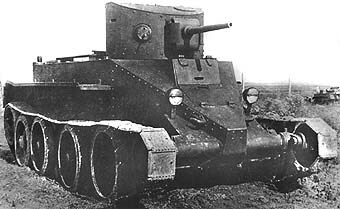 The BT-2 tank of 1932 was the first Soviet modification of Walter Christie’s design. Combat during the Spanish Civil War and in an undeclared border war with Japan had shown both types to be very vulnerable to modern anti-tank weapons. Some Soviet units were equipped with heavy tanks such as the massive, five-turreted T-35, but these were so slow and unreliable that they were virtually useless in combat. What the Red Army lacked was a medium tank with good speed and maneuverability, thick armor, and a main gun capable of destroying enemy tanks. 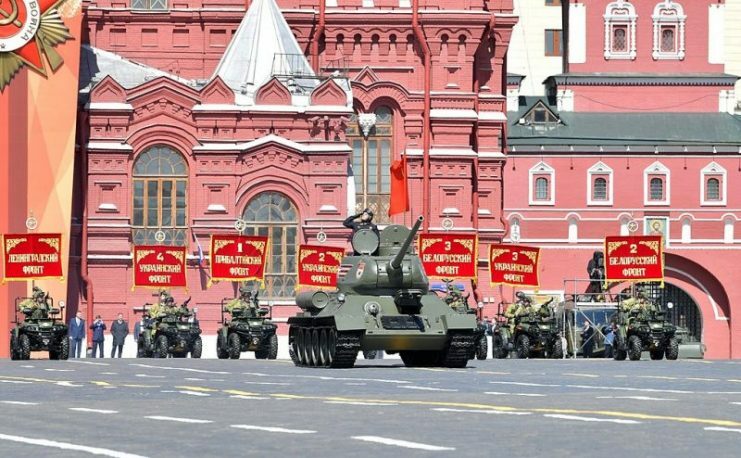 First production T-35A tank on parade in Red Square. Design on the new ‘Universal Tank’ began in 1937 at the Kharkov Komintern Locomotive Plant in Ukraine under the leadership of designer Mikhail Koshkin. The first prototypes were produced in early 1939. 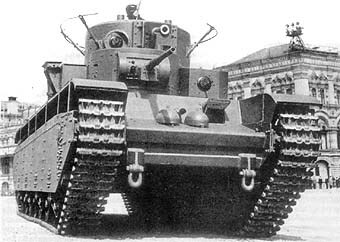 The new tank, then designated A-32, was a combination of existing ideas combined with innovation. It used coil-spring Christie suspension similar to the BT series but employed a wholly new track design which gave the new tank a phenomenally low ground pressure of 0.64 kg/cm2 – that’s only slightly higher than the ground pressure of a human footprint! This made the new tank less liable to being bogged down in mud and soft snow. It had frontal armor that was 45mm thick, but this was also sloped at an angle of 60°. This meant that a projectile on a horizontal trajectory was likely to bounce off the armor. But even if it didn’t, the slope meant that an anti-tank shell would need to penetrate over 50mm of armor before it entered the interior of the tank. 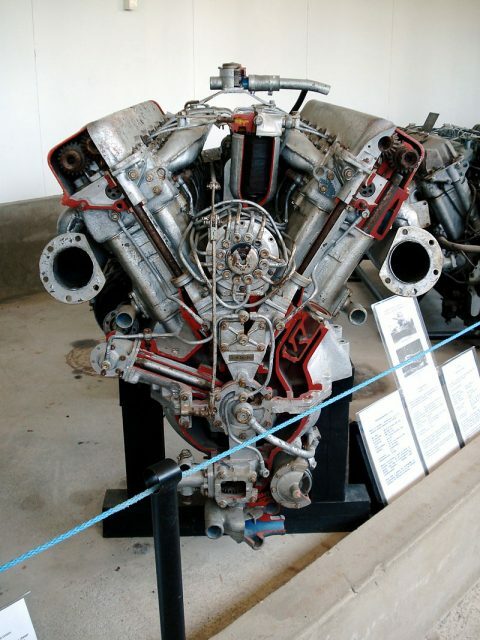 The engine was a powerful V12 diesel. Using a diesel engine gave increased range and made the tank less likely to burn if it was hit. The turret was provided with an L-11 76mm gun which was 30.5 calibers long and had a muzzle velocity of around 2,000 ft/s (600 m/s). Mikhail Koshkin decided to name the new tank “34“ because, he claimed, that was the year in which he had first begun to consider this design. 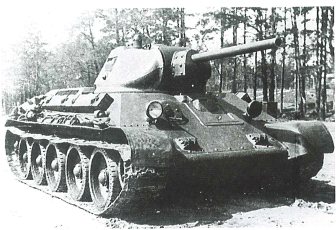 In January 1940, two prototype T-34s were completed and both were subjected to a grueling reliability trial. They were driven from Ukraine to Moscow (a distance of over 1,200km or 745 miles) and then to the border with Finland and on to Kiev before returning to Kharkov. In some ways, this trial was a triumphant success. Both tanks completed the journey, and only minor modifications were required to the suspension and drivetrain. However, in other ways, the trial was a catastrophe – Mikhail Koshkin contracted pneumonia during the trip and died as a direct result. He was replaced by his deputy, Alexander Morozov. 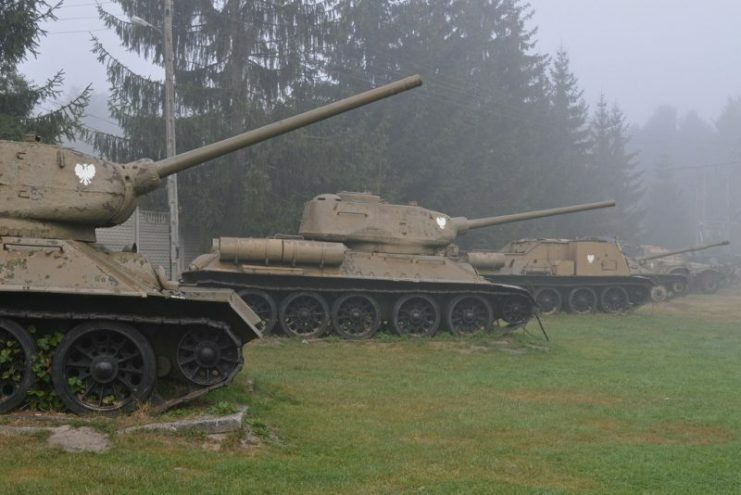 BT-7, A-20, T-34 (model 1940), and T-34 (model 1941). Production of the T-34 began in September 1940 at the Kharkov Komintern Locomotive Plant. It was also intended that there should be concurrent production of the T-34 at the Stalingradzkiy Traktornyj Zawod (Stalingrad Tractor Factory), though no tanks were produced there until the beginning of 1941. Production difficulties with the manufacture of the V12 diesel engine meant that many Model 1940 T-34s were provided instead with the inferior MT-17 gasoline engine from the BT tank series. Almost as soon as the first T-34s reached front-line units, there were criticisms of the L-11 gun which was found to have unacceptably poor penetration capability against armored targets. It was quickly replaced with the F-34 76mm gun which was 42 calibers long. The new gun had an improved muzzle velocity of around 2,130 ft/s (650 m/s). Tanks equipped with the new gun as well as even thicker frontal armor and a cast or welded turret were designated the “Model 1941” which began to arrive in front-line units in the summer of 1941. When the German invasion began in June 1941, around 1,000 T-34s had been produced in Kharkov and Stalingrad, and most of these were made available to units directly attempting to stop the German advance. T-34 production at Kharkov was relocated in September to a new factory in Nizhniy Tagil, east of the Ural Mountains. 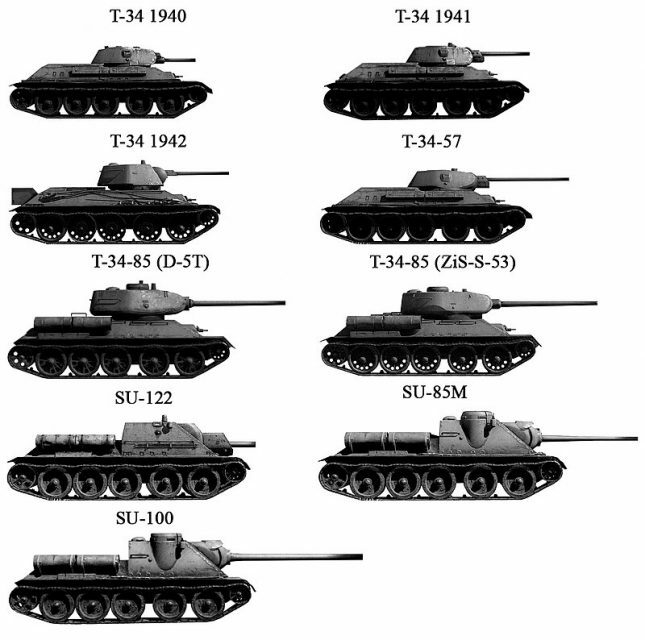 T-34 sub-types and variants arranged by caliber, gun type, and date of production/design. 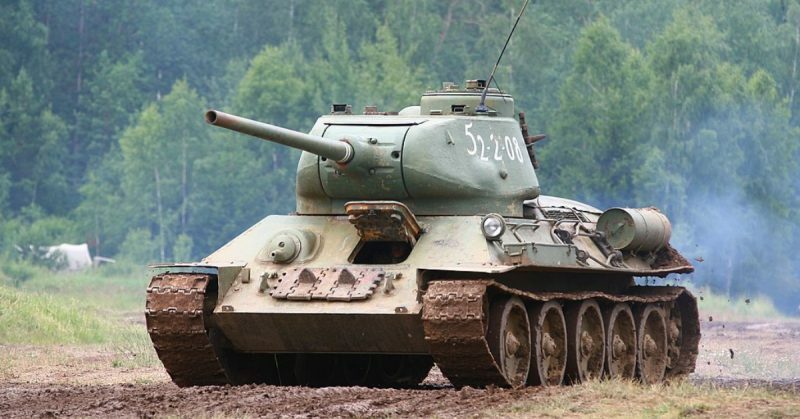 The T-34 Model 1942 entered production in early 1942, and this tank incorporated several minor modifications, mostly simplifications intended to speed production. Most Model 1942 tanks had cast turrets, though a few were still equipped with the older welded turret. The final version of the T-34 with the 76mm gun, the Model 1943, was introduced in mid-1942. It incorporated small improvements such as the addition of two circular hatches on the turret. 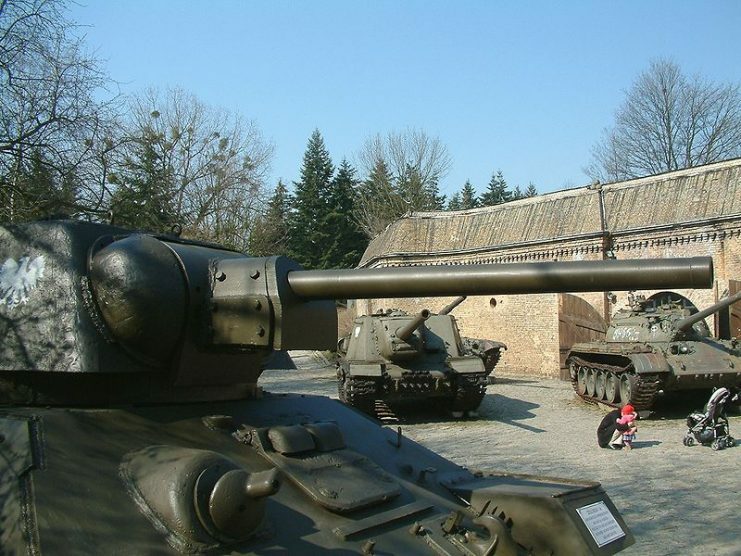 These replaced the large single hatch on previous models, leading to this model being called the “Mickey Mouse“ T-34 by the Germans. In March 1944, a new T-34 equipped with an 85mm gun began production, but this incorporated several significant design changes and was essentially a new tank. The Best Tank of World War Two? The T-34 equipped with the 76mm gun (which is called the T-34/76 to distinguish it from the later T-34/85, though these designations were never used by the Red Army) was the tank which first faced the German invaders and which came as such an unpleasant surprise to the Wehrmacht. Was this really the best tank of World War Two? The sloped armor of the T-34 certainly made it virtually impervious to frontal hits from the 50mm gun fitted to the Panzer III (the main German tank during the invasion of Russia) as well as the 50mm Pak 38 anti-tank gun which was widely used at that time. It was relatively fast, and its broad tracks made it less likely to bog down in the sea of mud which began to slow the German advance in the fall of 1941. 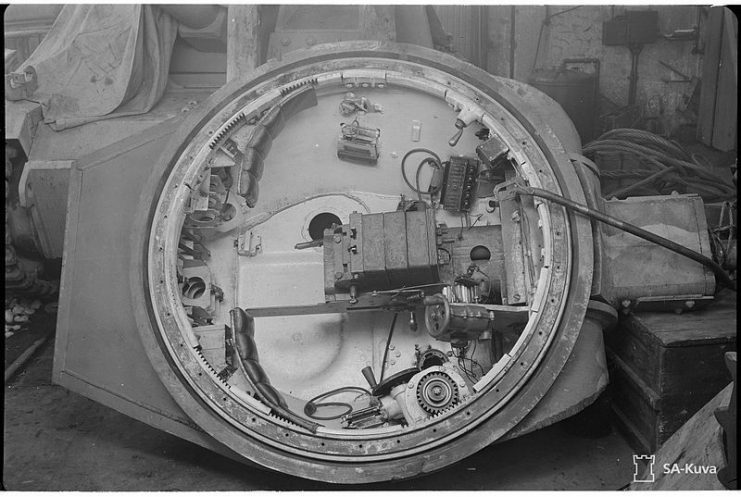 Interior of T-34 Model 1941 turret, with the F-34 gun visible. The vehicle was captured by the Finnish Army and was undergoing an overhaul. Photo taken in 1944. The relatively simple design of the T-34 made it easy to produce in large quantities using unskilled labor. Simplification meant that by the end of 1942, it took half the time to produce a T-34 that it had previously. In 1943, T-34 production reached 1,300 tanks per month and in total around 35,000 T-34/76s were produced in a little over three years. However, looked at objectively, the T-34/76 had some fundamental flaws as a weapon system. First, it had a two-man, manually traversed turret. This meant that the commander was also the gunner, and perhaps also a platoon leader. This placed an unrealistically high workload on the commander and was made worse by the fact that the turret lacked a basket, a floor which moves as the turret traverses. Without this, it was all too easy to trip over spent shells or other items as the turret moved. 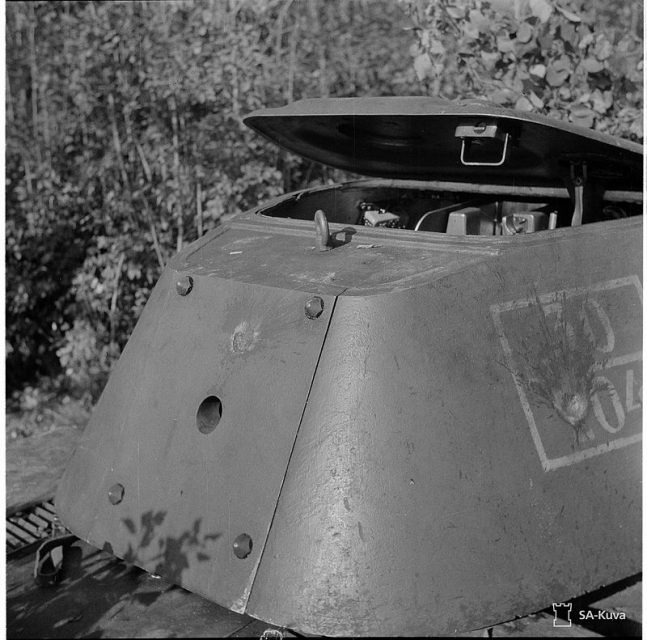 Visibility from inside the T-34/76 was so dreadful that commanders often entered battle with the main turret hatch open, sheltering behind it as they tried to see what was happening. It wasn’t until the Model 1943 that the T-34 was finally provided with a cupola which incorporated periscopes similar to those seen on German tanks. Two non-penetrating anti-tank gun hits on the right side and rear of the turret of a Red Army T-34 captured by the Finnish Army. Summer of 1941. Improvements in German tank and anti-tank guns meant that the T-34 rapidly became vulnerable even to frontal hits. The armor used on the T-34 was very hard, which meant that even a round which did not penetrate could cause lethal steel splinters to spall off the inside. The steeply sloped frontal armor also meant that the interior of the T-34 was very cramped indeed. When a T-34 was tested by US Army engineers in 1942, they were amazed that it was possible to fit four men wearing winter gear inside. The lack of interior space meant that the sides of the hull incorporated fuel cells which could be breached if hit by armor piercing rounds. Most early T-34s were not provided with radios. Only the platoon leader’s tank had a radio (approximately one tank in five). Communication during combat was intended to be by flag. Just think about that for a moment: in the ferocity and speed of an armored engagement, T-34 crews were supposed to wave flags at each other to communicate, though the lack of visibility meant that the chances of any other tank seeing those flags were slim indeed. As a result, attacks by T-34s usually lacked cohesion. Even by 1943, many T-34s did not have radios. The transmission was so crude that it self-destructed regularly and the loader often kept a sledgehammer handy with which to whack the transmission if the driver was unable to change gear. However, the main problem with the T-34 was the unreliability of its engine, drive gear, and suspension. 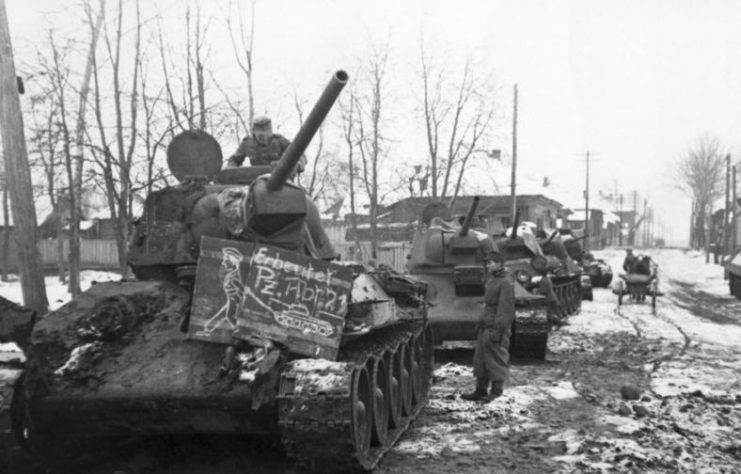 The counter-attack following the German failure to take the city of Stalingrad in the winter of 1942/1943 was the first time that the Germans had faced massed groups of T-34s and this has become part of the T-34 myth. From documents released after the fall of the Soviet Union, we now know that these T-34s performed very badly indeed. In just six days of fighting, the Russian tank brigades lost 326 out of their 400 T-34s. But just 66 of these were combat losses – the rest were due to breakdowns. 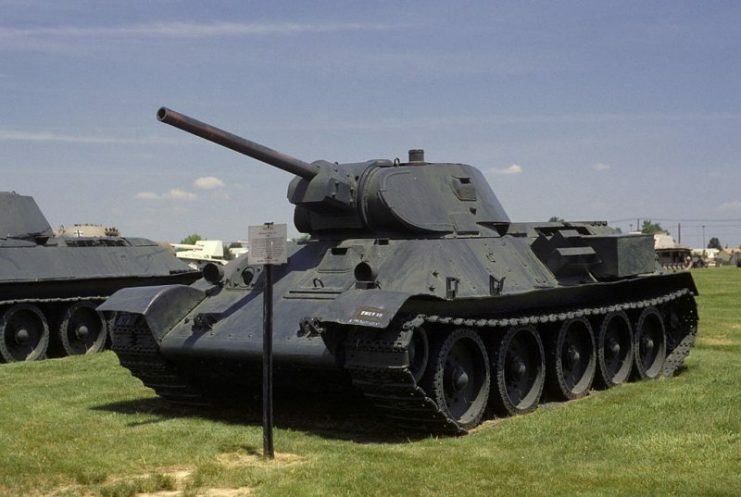 A Soviet T-34 76 tank on display at the US Army Aberdeen Proving Grounds. Soviet tests of newly completed T-34s in 1942 showed that only 7% were free of major defects. 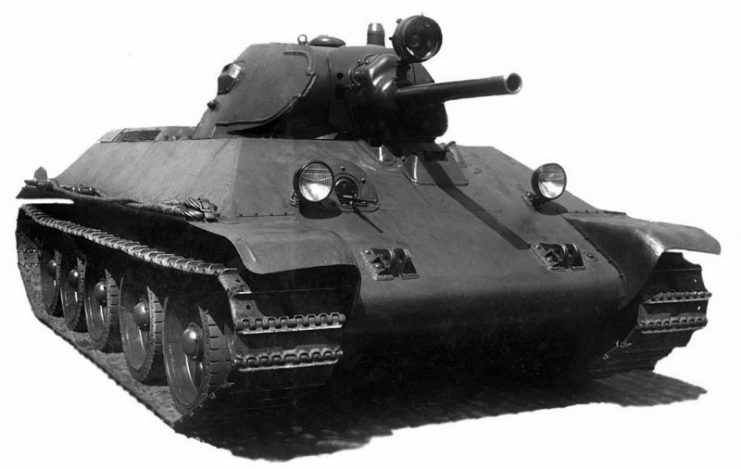 In 1943, random T-34s were taken from the production line and subjected to a 300km reliability trial. In June 1943, less than 8% were able to complete this trial without breakdown. 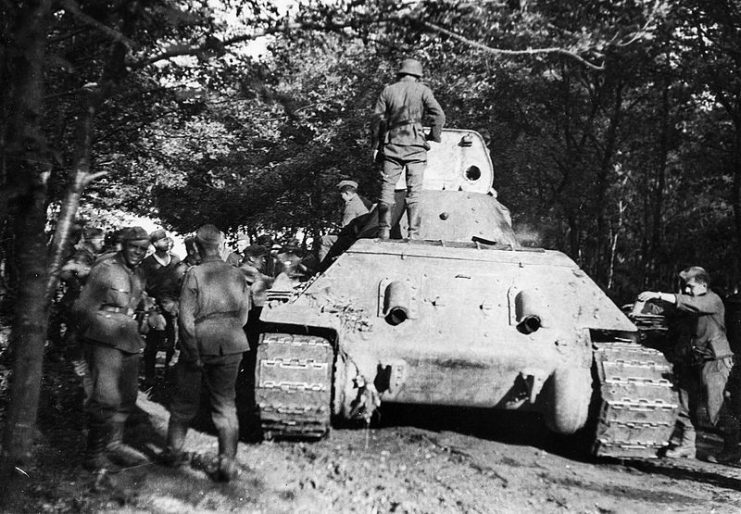 It wasn’t unknown for Soviet tank brigades to lose anything from 30% – 50% of their T-34s just traveling to the combat area. According to the Armored Directorate of the Red Army, the average T-34 in World War Two lasted less than 200 kilometers (124 miles) before requiring major repair or overhaul. This means that a T-34 generally needed significant repairs before it had even used its first full tank of diesel! Taking all these things into account, it seems that the notion of the T-34 as the best tank of World War Two is little more than an enduring piece of Soviet propaganda. Reliability was dreadful, and it was so difficult to fight effectively from inside early T-34s that many Soviet tank commanders resorted in desperation to ramming German tanks in the hope of disabling them. The main advantage of the T-34 was that, by virtue of its relatively simple design and using what amounted to slave labor in their factories, the Russians were able to produce lots of them. 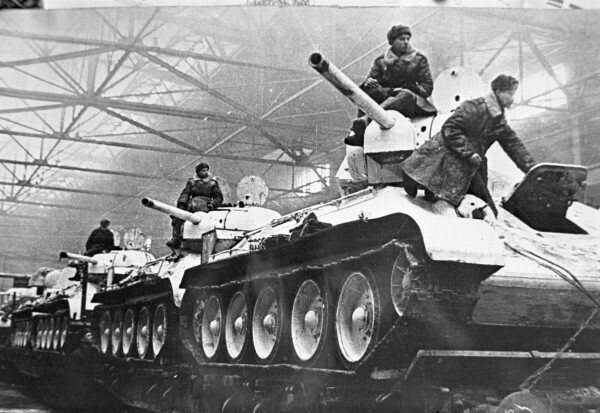 Between 1941 and 1943, Russian factories produced over 30,000 T-34s. In comparison, during the same period, the Germans produced just over 5,000 Panzer IVs. Russian combat philosophy seems to have been that it was better to have large numbers of flawed tanks than to wait for an improved design. 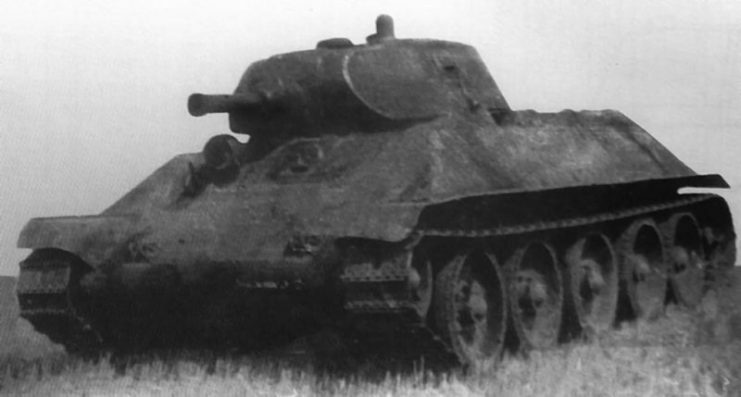 The T-34/85, which began production in March 1944, finally addressed many of the shortcomings of the previous version – for example, it had a three man turret. But the majority of T-34s used during World War Two were T-34/76s. The many flaws of the T-34/76 were at least partly overcome by the courage and sacrifice of inadequately trained Soviet crews who proved willing to attack their German foes regardless of losses. Can we conclude from this that the T-34 the best tank of World War Two? Objectively, the answer must be a resounding no. Though if we were looking for the most over-rated tank of that war, it might very well be a contender.